The Buddhists call this the “alaya vigyana”. Akasha is a Sanskrit word meaning sky, space. That primordial life force energy permeating everything in existence. 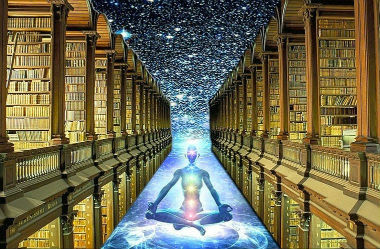 The akashic records are a level of consciousness that transcends the level of consciousness of the ego, in which we are all connected. Once we are connected to that then the wisdom of how to act accurately in any given moment or to respond to ever situation there is will be channeled naturally through you. And it won’t be your ego acting or reacting. All of us have the capacity to relate to this, it’s the universal field of consciousness that we derive from, but we have lost our connection to because we were more identified with the body but when we identify with soul and spirit again that opens that channel. That is our true intelligence is located, it’s not in the ego. The ego can only imitate. Real creative intelligence comes from “alaya vigyana”. The akashic records as a world library we have access to. 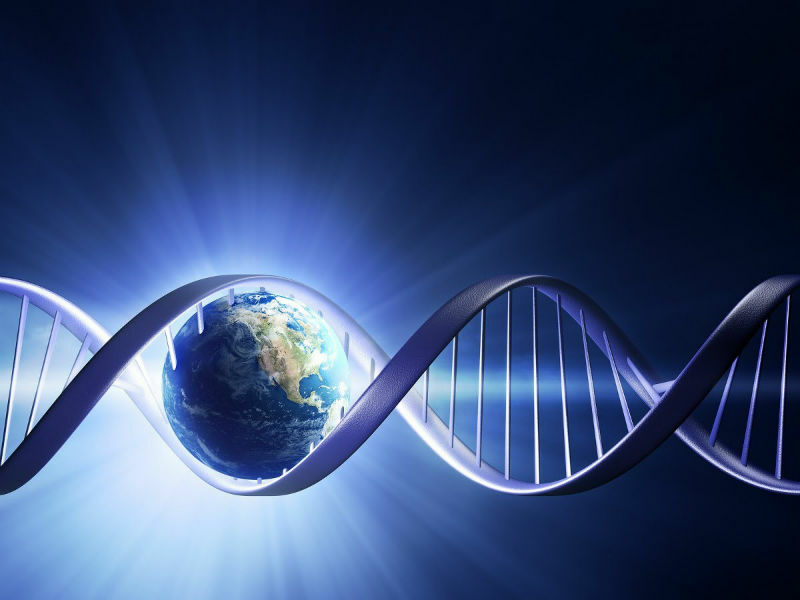 The akashic records are your DNA, everything containing in your DNA is what it has been, what it is and what it will be. They are like one massive universal library, made of fine matter containing everything that has ever happened. – First, we have our personal akashic records. This is where our thoughts, our feelings, our emotions are being stored within our DNA. Everything is being recorded. – Then you have planet Earth’s akashic records. All the actions, all the events, the collective energy of the planet is being recorded within the planet. You see this in crystals, they absorb information. You need power, knowledge and abilities to get there and read from them, as well as the guidance of a Teacher. Also to be worthy and use the seen for good deeds and to be of benefit to humanity. Not for personal gains or being driven by morbid curiosity and a desire for sensationalism and popularity. The universal akashic records are a grand library where everything in the universe’s history is stored: the past, the present and all the future possibilities. The access to the akashic records is only for good deeds. In the akashic records the future is also stored but it’s not the absolutely drawing of future actions but rather a karmic commitment without interfering in any way the unshakable right to choose. In the records are mentioned the personal perspectives of every individual – almost comprehensive – but the freedom to choose remains entirely immune. Furthermore, the access to them is not strictly permitted – if only a person can enter into his superconsciousness (which is the higher level of penetration of the subconscious mind – generally unlimited). Of course, this is something very distant for the normal, ordinary man but it’s not impossible. I hope this post enlightens you and gives you an idea about what are the akashic records. I would really love to hear what you think about the akashic records, your interpretation and experience with them. In my next post, I will discuss how can we read from them and use the information to maximize our potential.